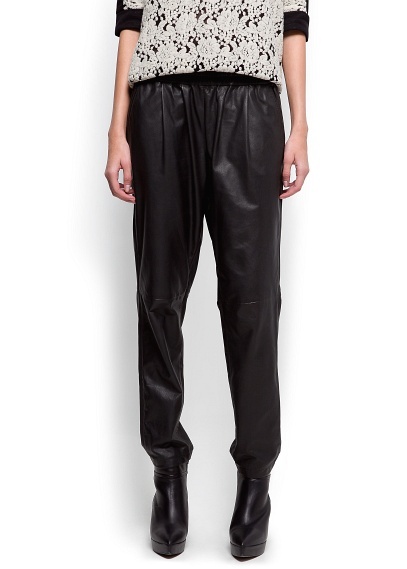 Celine Pre-Fall 2012 Leather pants v. Mango Leather pants…..
One of my favourite materials is leather. So leather Celine pants naturally would be something I’d crave….but after forking out a pretty penny on lots of stuff I didn’t fancy the price tag …. but the Mango price tag of £115 was much more appealing…. So this is what I wanted …. Hat’s off to designers of this era.. How influentially they fashion men’s formal wear into women’s stylish clothes…! !